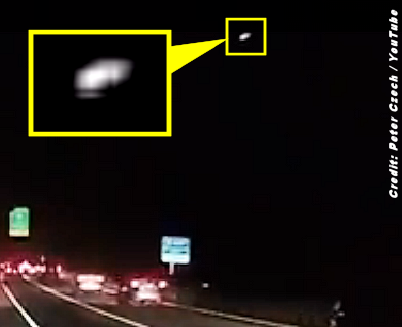 Thousands of people in the region were treated to a rare site Monday evening – a brilliant fireball streaking across the evening sky. It was seen from Canada to Virginia. Thousands of people in the region were treated to a rare site Monday evening – a brilliant fireball streaking across the evening sky. 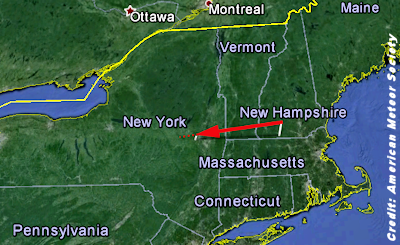 Most reported the fireball, relative to New York City, moving northeast to southwest about 6:35 p.m.
Sightings logged by the American Meteor Society – 226 as of Tuesday morning – were reported from Virginia to Maine, and included Quebec and Ontario, Canada. Observers reported it as visible up to around 3 seconds as blue, white or green. . . .